Looking for a nice reminder of the Order of Operations PEMDAS rule for your math class? 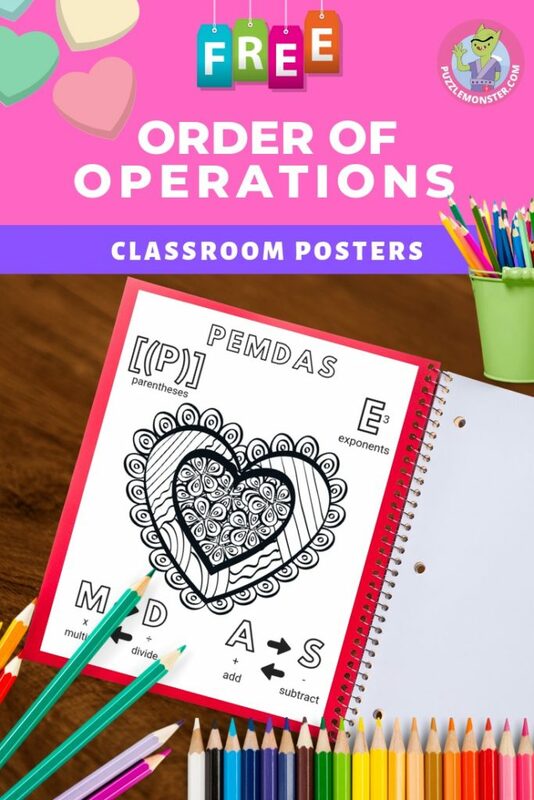 We created a cute Valentine’s Day order of operations poster to help students remember the PEMDAS acronym for your room! There’s also a coloring page black/white version, so your students can color and keep in their notebooks. And it’s free, of course! 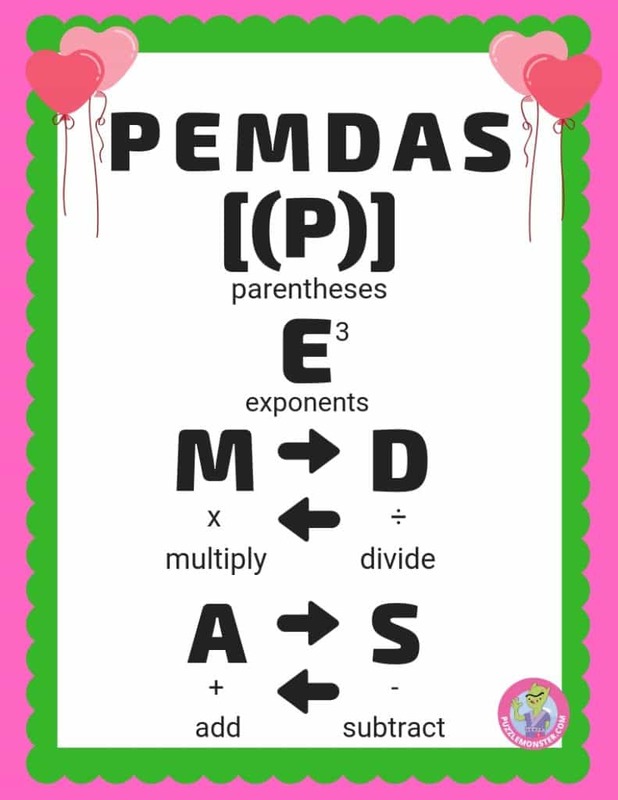 PEMDAS stands for Parenthesis, Exponents, Multiply, Divide, Add, Subtract – a mnemonic for order of operations in math equations. 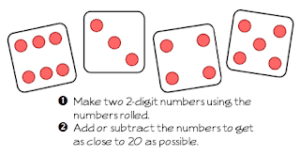 You can also use it as Please Excuse My Dear Aunt Sally, another mnemonic for order of operations used in third through fifth-grade math. Our free poster is Valentine’s Day -themed but not so much that it can’t be used any other time of the year. 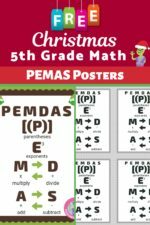 It’s a PEMDAS rule resource your students will refer to again and again, and you can use year after year. 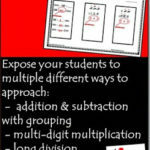 The poster is letter sized and represents Parentheses/Grouping Symbols, Exponents, Multiplication and Division, Addition and Subtraction – PEMDAS. It will fit perfectly into a notebook. In addition, we created a simple black/white poster that can be colored. Your students can use markers to make them colorful and then you can laminate — use this poster until they have it memorized! We hope you get a lot of use out of these. We designed them for your third through fifth-grade math students who need a little help remembering how order of operations works. 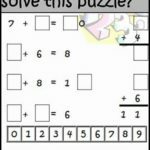 It’s very simple and straightforward, but we think it will save you valuable time in preparing your math lessons. Originally, this was only available in our Valentine’s Day math breakout (the one with the origami puppy prize), but we decided it would be great to separate out the posters as a freebie. 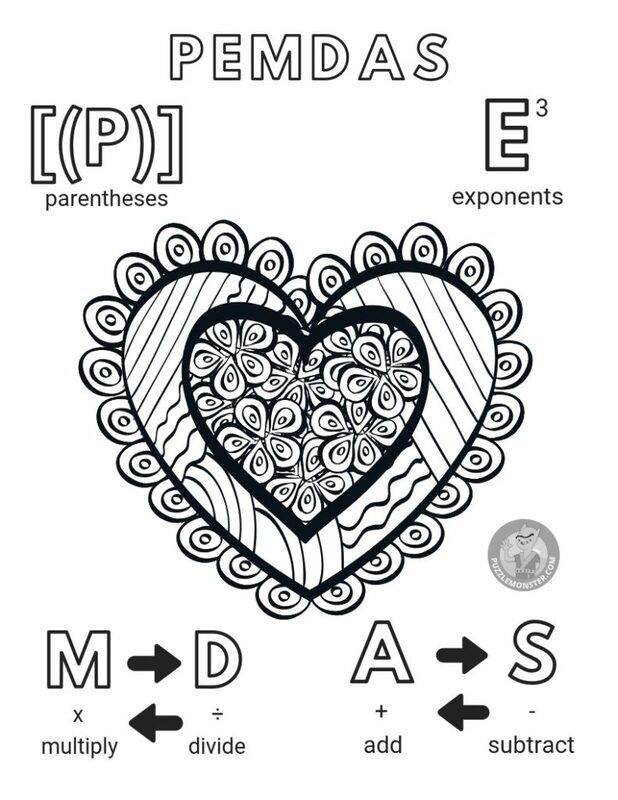 Keep this resource handy during Valentine’s Day time – or any time of year – to help to review order of operations!